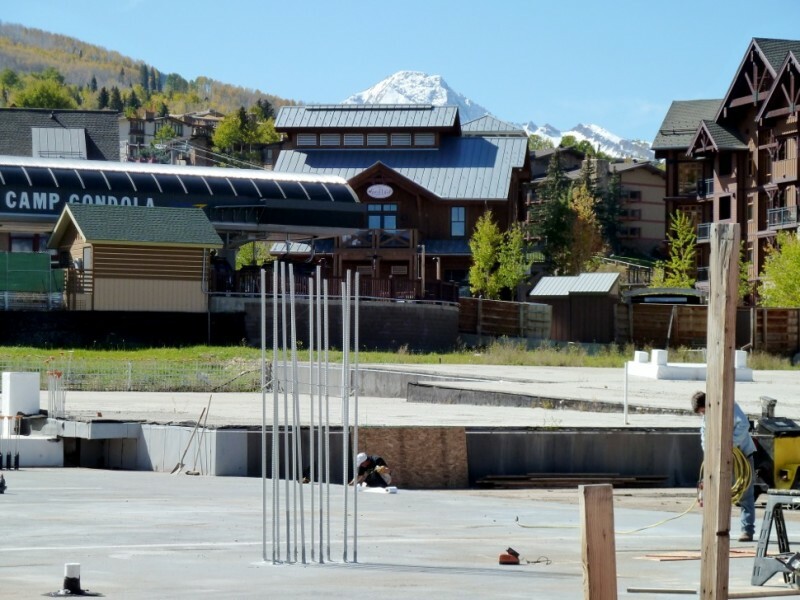 The Snowmass Elk Camp Gondola rises above the top of the Base Village parking garage. Aspen Skiing Co. is reviewing the opportunity to build a hotel on the site. Aspen Skiing Co. wants to be “the catalyst” for completing Snowmass’ Base Village and would like to develop a Limelight Hotel and 10 luxury cabins called the Fanny Hill Townhomes beginning next summer. 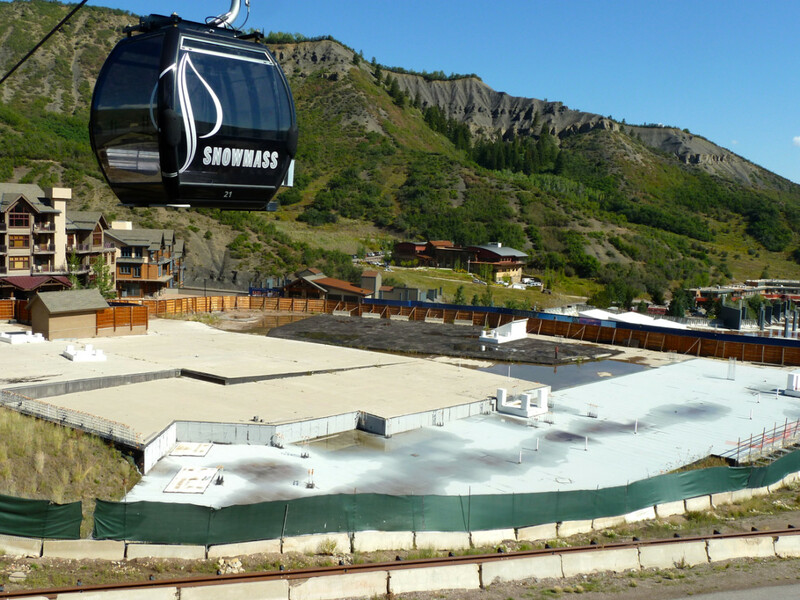 On Oct. 7, Skico will formally ask the Snowmass Village Town Council to overturn a decision made by its former planning director who ruled in late August the hotel application be treated as a “major” PUD amendment rather than minor amendment. This could potentially add months to the approval process, said Don Schuster, Skico Vice-President-Hospitality Development. So if the town’s decision isn’t reversed, the project and Skico’s plans to purchase Lot 2 within Base Village from Related Colorado (dba Snowmass Acquisition LLC), are essentially dead in the water. Skico would like the review process to be completed by next April. While rumored for months, this was Skico’s first public confirmation that it was indeed considering a Limelight Hotel for Snowmass Village. The potential purchase price of Lot 2 wasn’t disclosed. As envisioned, the ski-in, ski-out property would include 102 or 103 hotel rooms, 18 privately owned suites and three employee housing units in Building 5. Also to be located in the structure: the Snowmass Mountain Club, a spinoff of the private club with about 230 members that’s headquartered atop Aspen Mountain and commands an initiation fee of $220,000 plus $6,000 annually. Long considered the gem – and potential cash cow – of the Base Village development, the Fanny Hill Townhomes are 10 luxury for-sale cabins and one of the few properties that Skico retained after selling the bulk of its commercial assets (in Base VIllage) to Related WestPac in 2007 for $169 million. But the slopeside cabins are bound by a phasing schedule that mandates certain public improvements be completed prior to groundbreaking. Schuster admitted that Skico has been in “limbo” waiting for Base Village to be finished; though owner of the mountain amenities, it is essentially powerless in the face of another developer’s timetable for the base area. This only adds to Skico’s urgency to “jump-start getting this stuff done,” Schuster said. He emphasized that the company believes this project remains true to Base Village’s original intention of bringing more vitality and “hot” beds to the ski area. The Limelight would also use the same footprint and comparable square footage to what was permitted in the original Base Village approval for this site. Skico once envisioned a Little Nell Hotel for Snowmass in a separate location, but abandoned those plans during the recession. Today, the Limelight is considered a better fit for Snowmass, especially because the Viceroy Hotel seems to satisfy the highest end luxury market. Interim Community Development Director Mark Kittle determined that a major PUD amendment is appropriate for this application.The change in usage of this building – from condos to a hotel product – is considered significant in some quarters. Additional structures could actually be built on Lot 2 though if the deal is completed, Skico wants to leave the site of Building 9ABC (where log cabin-style buildings were planned) vacant for event usage. Building 4, also on this lot, is still envisioned for retail uses. Proposed is an expanded Four Mountain Sports rental shop totaling nearly 5,000 square feet, with four residential units upstairs. Skico’s Kaplan and Schuster believe this enlarged rental shop would also better serve the customer base, unlike the partially completed base area project of today. Editor’s note: This story was corrected on Oct 7, 2013. It was Town of Snowmass Village Interim Community Development Director Mark Kittle who determined that a major PUD amendment was appropriate for the SkiCo’s application, not former TOSV Planning Director Steve Ferris.